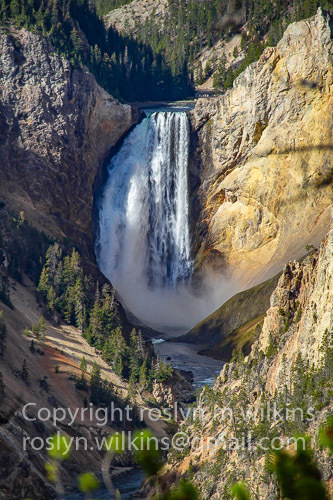 The Lower Falls are the second most photographed area of Yellowstone (Old Faithful not too surprisingly the most photoed). 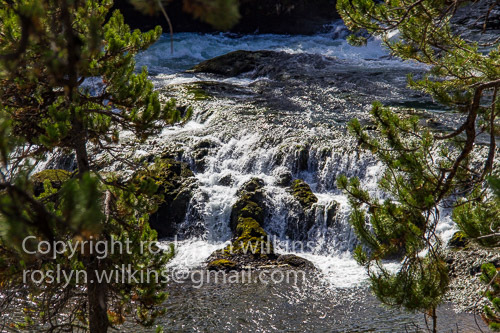 It is located at the head of the “Grand Canyon” of the Yellowstone River. At 308 feet (although in 1867 it was described as “thousands of feet”) it is quite impressive. Look at that vapor trail at the bottom… I didn’t notice it until I saw my photo! 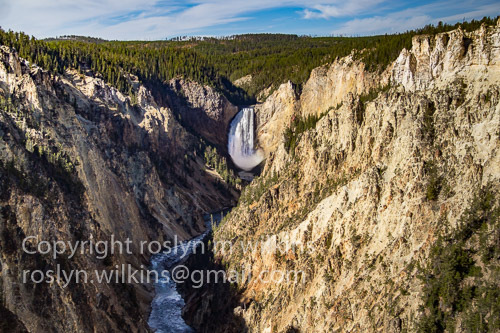 According to Yellowstone.net: The canyon’s colors were created by hot water acting on volcanic rock. It was not these colors, but the river’s yellow banks at its distant confluence with the Missouri River, that occasioned the Minnetaree Indian name which French trappers translated as roche jaune, yellow stone. 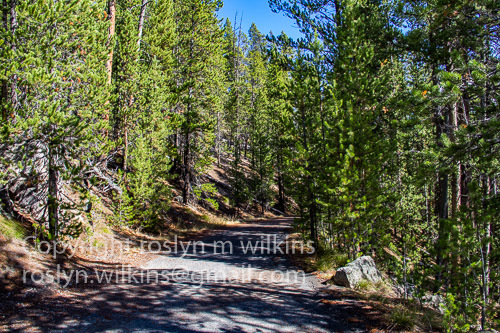 There’s a nice trail along the Yellowstone River that I walked along. Give me free time on any trip to wander off by myself to take pictures and I am happy. My friend J and others went off on a hike but I wanted private time with my camera! And soon it was time to catch up with my companions and hear their stories! 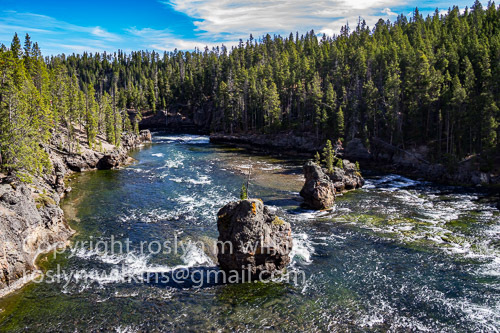 Your photographs are amazing, Roslyn. I particularly liked the second shot…stunning. Glad you liked the second shot…. I spent a lot of time processing another view then accidentally posted this one instead! Oh well… it worked out! To me there is nothing better than being able to have time to yourself in nature with camera in hand, as it allows us to see it from another perspective. 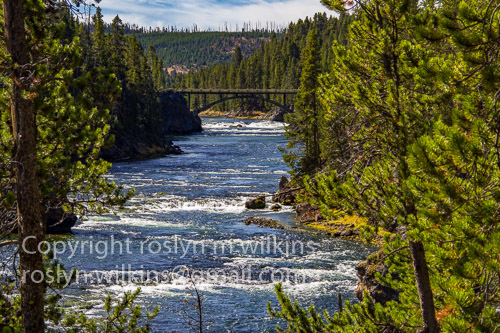 You show it here so well with these shots ~ beautiful Roslyn. Thanks, Dalo… wandering around with my camera is my favorite thing to do.